Spokesmama: Get Ready for Summer Biking Season! Get Ready for Summer Biking Season! If you like biking with your family & you'd like to do even more of it this year, consider joining a HUB Cycling Family Streetwise course this summer! This fun, interactive course is for families with children ages 8 & up. You'll learn road safety skills & build confidence to ride on the road together as a family. This course is taught by HUB Cycling's certified cycling instructors (like me! ), & includes theory, on-bike skills practice plus a neighbourhood road ride. Courses are aimed at children & family members that already know how to ride a bike (balance, pedal, steer), & are looking to take their skills to the next level & ride confidently on the road. The Fine Print: All children must be accompanied by a participating adult, with a maximum of 3 children per adult. All participating family members must be registered in the course. All participants must bring their own working bike & helmet. If that isn't enough to convince you, I should also mention that Translink is subsidizing these courses, so the cost is only $10 per participant! Sunday, June 24 1pm-4pm @ False Creek Community Centre - Registration here. Sunday, July 29 9am-12pm @ Trout Lake Community Centre - Registration here. Saturday, August 25 9am-12pm @ Trout Lake Community Centre - Registration here. If you live in another municipality, we also have upcoming programs in New Westminster, North Vancouver, Coquitlam, Maple Ridge, & Surrey. Check the HUB Cycling Family Streetwise page for more information & to register. Disclaimer: I work for HUB Cycling as an instructor of some of these programs, but I was not compensated for writing this post & don't receive any commission if you register. 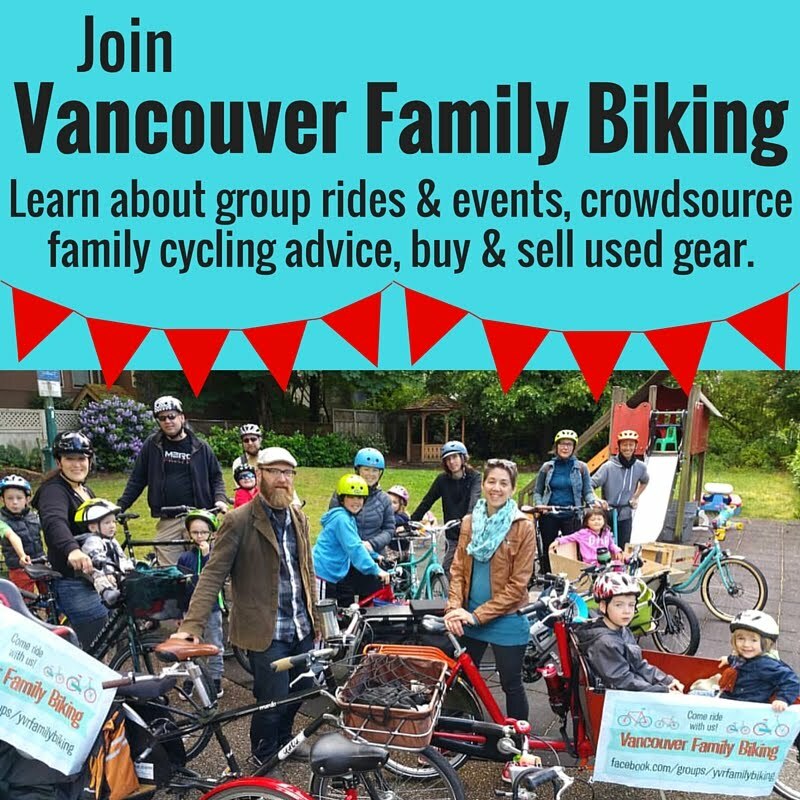 I just want to see more families on bikes!